This master’s degree scholarship scheme of Hue University for Laos students is an evidence of profound friendship between Vietnam and Laos PDR. 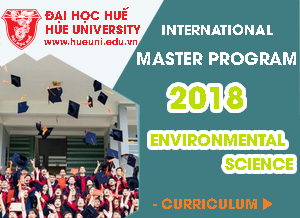 This scholarship scheme is a good chance for Laos managers, lecturers and researchers to pursue further education and develop their professional expertise at Hue University’s affiliate colleges in the areas of medicine, education, foreign languages, economics, sciences, agriforestry and environment. This scholarship aims to train high quality human resources for Saravane and Sekong provinces and Laos universities and colleges, especially Savannakhet Univeristy and Champasak Univeristy which have established cooperation relationship with Hue University. (*) 2 scholarships of Hue University include (01) for candidates from Sekong province and (01) for candidates from Saravane province. - Accommodation will be arranged at the Dormitory of Hue University. Choosing not to live in Hue University’s dormitory, students have to cover the expense by themselves. - Scholarships for the second year will be conditional on previous year’s academic performance. - 10 partial scholarships from College of Medicine and Pharmacy do not include accommodation. - Vietnamese is the official instruction language. - Biomedicine courses are taught exclusively in English. - Applicants must hold a bachelor’s degree of relevant or related majors. - Good Vietnamese ability is an advantage. Priority is given to those who took courses at or graduated from Vietnamese universities. If necessary, a committee of Hue University will test candidates’ Vietnamese ability. Unqualified candidates must take and pay tuition fee by themselves for a 1-year Vietnamese course at Thua Thien Hue college of Education. - The documents of applicants to Master’s program of Biomedicine – College of Medicine and Pharmacy will be chosen by professors from University of Sassari - Italia. After being admitted, students will be sent a letter informing program start date and study plan by their colleges.